Charleston has plenty of spots for people who love history, dining or gardening. But what about those of us who need places to relax with our furry friends? Here are some of Colony & Craft’s favorite dog friendly neighborhoods and areas. Avondale: Right off of Magnolia, residents of the Byrnes Downs, Avondale and other surrounding neighborhoods can go to Ackerman Park (55 Sycamore Avenue, Charleston) to enjoy an off-leash dog run with shady trees and plenty of space for games of catch. Next-door is a fenced skate park, which can be almost as fun to watch as pups playing. Park Circle: This hip area of North Charleston offers several options. The Mixson development offers a fenced “Bark Park” within their grounds (4400 McCarthy Street, North Charleston), where pups can frolic off leash and dog owners can treat themselves to a snack or drink from Mixson Market. Riverfront Park (1001 Everglades Avenue, North Charleston) is another hidden gem only 2 miles from the heart of Park Circle. Dogs are free to be off leash, and their humans can enjoy views of the Cooper River. Riverland Terrace: While there are no major known dog parks in the actual neighborhood, the 3-mile commute to James Island County Park (871 Riverland Drive, Charleston) is worth it, and consider purchasing a pass to the park to avoid having to pay $1 per person per visit. 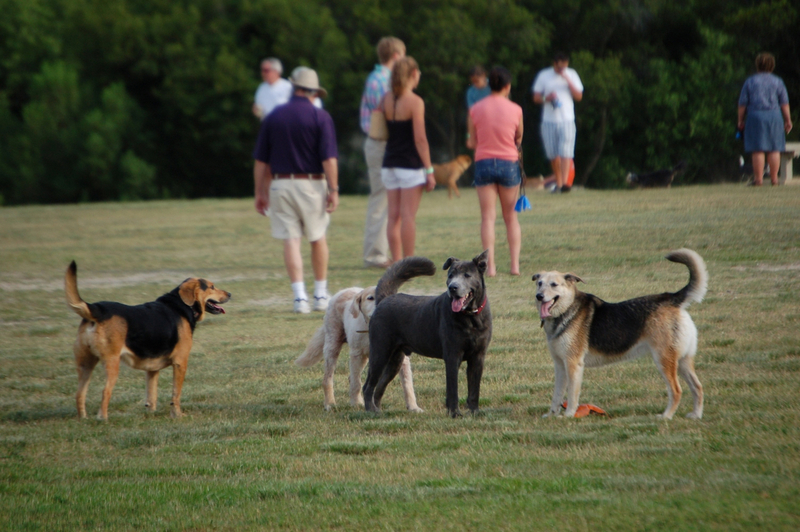 The park is known to be a mecca for all local dogs and their owners. Four acres of grass, a lake to swim in and a new Spray Play attraction to be finished late this spring are just a few highlights of this amazing space. Wagener Terrace: Everyone in the neighborhood flocks to Hampton Park for its gardens and green spaces, and Hampton Park’s neighboring dog park (122 Grove Street, Charleston) is quite the social club for dogs and owners, especially after work. Stop by and be prepared to make friends, both of the human and dog variety! Are there any spots that we missed and should add to this list? Please feel free to add your suggestions below—we’re always excited to check out a new space!